Guam Discovery Day was a holiday that commemorated the anniversary of the discovery of Guam by the Portuguese explorer Ferdinand Magellan, that is why it was also referred to as Magellan's Day. Magellan and his crew set foot on the island on March 6, 1521. 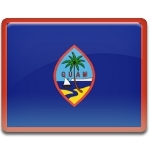 Guam Discovery Day was first observed as a public holiday in 1970. However, over the course of time the holiday has shifted its focus. Discovery of Guam by the Europeans meant the beginning of colonization and assimilation of the indigenous peoples. For this reason, the holiday was renamed to Guam History and Chamorro Heritage Day. It celebrates the history of Guam from ancient times to the present day, promotes preservation of the culture of the Chamorro people, the island's indigenous population, and supports Chamorro self-determination. On the occasion, all Guamanians are encouraged to educate their children about the rich history, culture, and heritage of Guam and teach them to embrace the core values of the Chamorro people – respect, reciprocity, community, and love for one and all.